We realize that managers require operational efficiency, performance measures, network management capability and reliability of operations. Your vendors and field team want timely information. You as a telecom infrastructure company provisioning services and managing telecom infrastructure with passive infrastructure sites wants these and more. Our solution addresses all these present needs, some of which may not have been anticipated. Our products are designed to be reliable, giving you the peace of mind that you can count on well-managed, productive operations. Remote Monitoring: A Technology that is critical to solving many of your problems today. 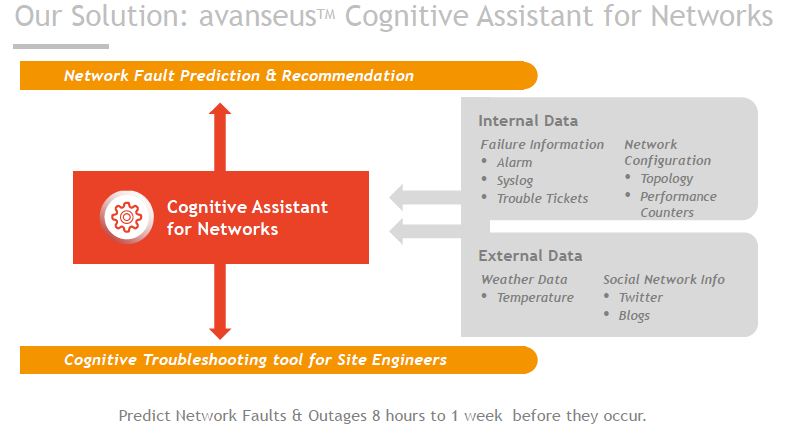 Avanseus develops and markets data driven, context aware enterprise solutions. They are more focus on Big Data Analytics using Artificial Intelligence which the technologies encompass Predictive Analytics, Streaming Analytics, Text Analytics, Machine Learning and Natural Language Processing. Avanseus also deliver enterprise solutions for Mobile, Fixed, Transmission and IP Backbone Networks, Industrial Analytics, and the Internet of Things, transforming massive amounts of data into useful business insights and actions. Their solutions are designed to meet the needs of Enterprise Customers in a number of industry verticals. A modern alternative to traditional brick and mortar structures, eCentre is a complete, pre-fabricated, pre-equipped, custom designed modular solution to house and power data and telecom equipment. Optimised for energy efficiency and low TCO, eCentre is fast to deploy, easy to expand and fully future proof. eCentre can be used for several purposes as determined by customer requirements, including a data centre, switching centre, energy centre, meeting rooms, staging areas and NOC. Additional elements of an eCentre can include a VSAT farm, telecom towers etc. - all delivered as a complete turnkey solution. The Will-Burt Company is the world's premier manufacturer of mobile telescoping mast and tower solutions. They offer virtually every payload elevation and integration solution from the three top brands; Will-Burt, GEROH and Integrated Tower Solutions (ITS). Will-Burt's LINX security solutions provide integrated access control and intrusion detection certified to protect critical assets. Acsys Intelligent Lock & Keys are designed to provide complete access control solutions for sites or doors with no internet or network connection required. All needed is a call/SMS to have the code to enter. This unique patented system uses a password key, lock, and automatic code generation system. Key access can be set so that a code is required before every use, once per day, or at intervals to suit your operation. These features prevent much of the cost traditionally caused by key loss. One key can open up to thousands of locks but depends on access right. This Intelligent Lock & Keys is not only act as a security tool, but also enhance productivity, efficiency and also flexibility. Zhejiang Debao Communication Technologies Co.,LTD was founded in 2003. It's a fast-developing company that integrates research, development, fabrication, logistics, installation and maintenance service. The factory is located in Dongzhou Industrial Zone, Hangzhou city, which is known for its extraordinary scenery of "Eighty percent mountain, five percent water and fifteen percent field". Currently the factory owns a 10000-square-meter office building and 46000-square-meter workshop equipped with advanced production lines for telecom towers and steel structures. It also has in-house hot dip galvanization plant that's the biggest in East China and around 100000 tons of production capacity. Due to the expansion of business, a double-size of more advanced production lines are in planning and a new European compliance certificate of EN 1090 (CE marking) is on process. The company insists in the principle of "Quality, credibility and win-win cooperation". We are always welcoming partners from all around the world to visit us and consider mutual cooperation. Smasher Technologies offers OTT Roaming services and Wi-Fi Calling to MNOs and MVNOs that do not necessarily have a fully functional IMS architecture, for 3G and 4G-LTE users whose devices do not support Native Wi-Fi, with flexible PaaS schemes (Platform-as-a-Service), quick integration and no infrastructure investment costs or Set-Up. OTT Roaming allows users to make use of their mobile number anywhere in the world, without having to pay international roaming, to make and receive calls and SMS (with the same number) through any Wi-Fi network or data plan of any operator in the world. Wi-Fi Calling allows the mobile operator to offer continuity in Voice and SMS services to users who have indoor coverage problems or that are outside their coverage area, by using any Wi-Fi network. It even allows SIM Card exchange, permitting users to receive and make calls and SMS using another mobile operator’s data plan. LionRock Power manufactures diesel generators and accessories. For more than a decade, the company behind LionRock Power has been distributing famous brand name generators and designing customized power solutions, especially for the telecoms industry. The standard LionRock genset is equipped with a Perkins engine and Leroy Somer alternator to assure trusted power and tested quality. For 75 years Perkins has led the field in the design and manufacture of high-performance diesel engines. Leroy-Somer is rightly famous as the leading manufacturer of alternators worldwide. Trusted, proven and reliable. LionRock manufactures a complete range of fuel tanks, ATS and other equipment. Skilled electrical engineers custom design specialized power systems. Coolsure was founded in 2007 to address the shortcomings with traditional cooling solutions for indoor cabins/shelters for telecommunications, mainly focusing on energy saving, facilitating alternative/renewable power strategies and intelligent controls. Today Coolsure is a leading supplier of energy saving cooling solutions for telecom shelters. With high efficiency AC/DC air conditioners, free cooling systems, smart controllers and remote monitoring solutions, Coolsure has helped save energy and create value for many telecom operators and tower companies with over 4,000 systems deployed in Asia, Africa and the Middle East. Our outdoor cabinet solutions are designs for low cost and shortest possible lead times, or a fully customised solution to meet special requirements. We have extensive expertise in outdoor cabinet design - particularly using high capacity air-to-air heat exchangers - and equipment integration for a total packaged solution. Our outdoor cabinets are integrating a fully configurable and modular design. This ensures the complete accommodation of all equipment at the base of a cell site, even after subsequent expansions. Offers revolutionary flexibility in configuration, cooling, power, and battery backup. Its flexible design accommodates all your site equipment—in the most compact footprint and economical form factor. Quality of service (QoS) and User Experience (QoE) in fixed and mobile networks are essential variables for the telecommunication operators’ business. 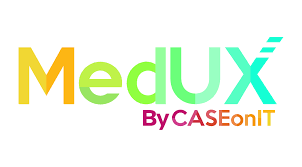 MEDUX measures the real customer experience of mobile and fixed networks and all platform TV services (Cable/Digital, IPTV, Satellite) and enhances Digital Customer Experience using 24x7 progressive drive testing, and residential monitoring agents. MEDUX enables our customers to outstand from their competitors, reduce costs and enhance their value proposition by keeping their clients happy and avoiding complaints. MEDUX is delivered with a zero-friction model: no integration, no licenses nor hardware/software costs. EBlink developed its efficient Front Haul technology and product lines as a time and cost saving method for mobile operators deploying their networks. Front Haul is the preferred transport method to remote radio sites for the new mobile network architecture such as Centralized RAN, Cloud RAN or Virtualized RAN. The most common Front Haul protocol is CPRI (Common Public Radio Interface) which is used by most mobile Radio Access Network vendors. However Front Haul – CPRI in particular – is also extremely demanding on the transport networks due to its very high data rates and low latencies. EBlink has patented efficient Front Haul technology minimizing the amount of bandwidth required for a given radio site while preserving its RF and network performance.